If you notice your gutters aren’t working as efficiently as they should or they are coming detached from your home, give us a call right away for quick and efficient services in Concord. 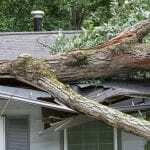 Having properly working gutters on your home is more important than it might seem. At JM Reynolds Builders, LLC, we are specialists in roofing and gutters, and we can make your home more efficient and protect you and your family against the elements. We provide a range of services to meet your needs in Concord, North Carolina, and we know you’ll see great results when you work with our team. Repair – It’s inevitable that your gutters may need repair at some point in the lifetime of your home. If you notice your gutters aren’t working as efficiently as they should or they are coming detached from your home, give us a call right away for a quick and efficient repair. Installation – At JM Reynolds Builders, LLC, we specialize in seamless gutters that look great and work well year after year. Just ask us how we can help you achieve your best home by installing new gutters for you. 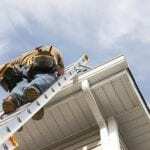 Replacement – If your gutters have fallen into disrepair or you would like to complete an upgrade, our experienced team will be happy to assist you with gutter replacement, so you get the most from your roof and your gutters all year long. At JM Reynolds Builders, LLC, we have over 20 years of experience providing roofing services to our happy customers. Give us a call today for more information on our gutter services and how we can help you achieve your best home. At JM Reynolds Builders, LLC, we install gutters in Concord, Kannapolis, Charlotte, Salisbury, Mooresville, Huntersville, Granite, Quarry, Davidson, and Paw Creek, North Carolina.